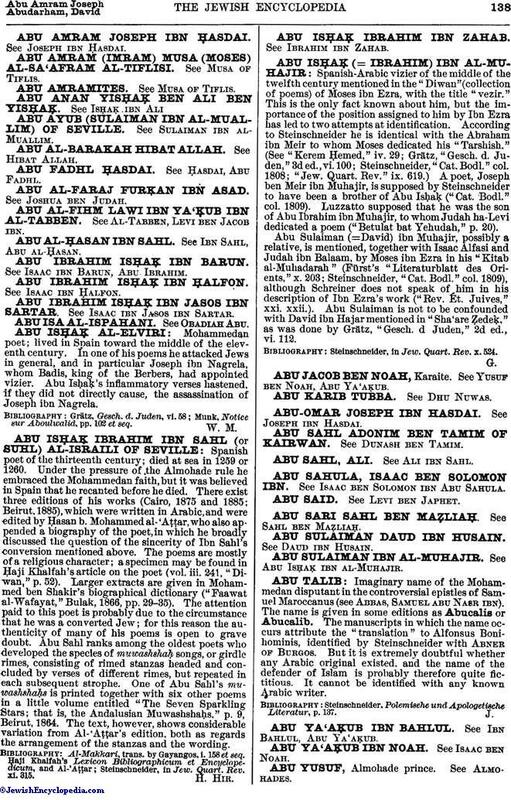 Imaginary name of the Mohammedan disputant in the controversial epistles of Samuel Maroccanus (see Abbas, Samuel abu Naṣr ibn). The name is given in some editions as Abucalis or Abucalib. The manuscripts in which the name occurs attribute the "translation" to Alfonsus Bonihominis, identified by Steinschneider with Abner of Burgos. But it is extremely doubtful whether any Arabic original existed, and the name of the defender of Islam is probably therefore quite fictitious. It cannot be identified with any known Arabic writer. Steinschneider, Polemisehe und Apologetische Literatur, p. 137.